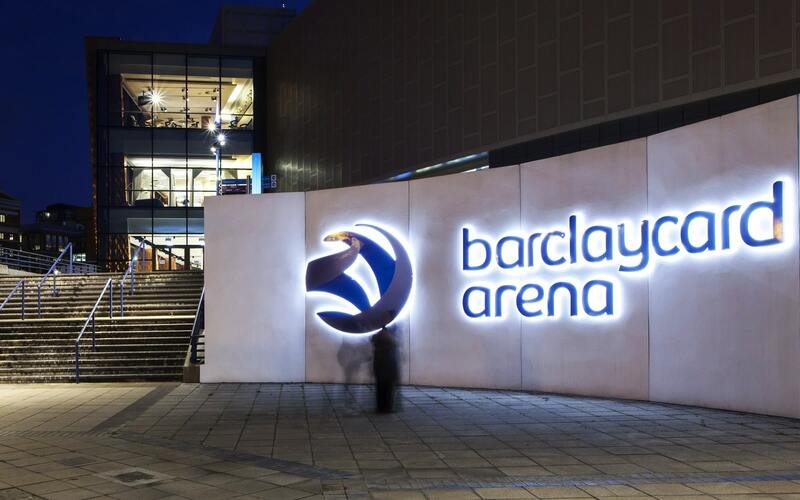 The 15,800 capacity Arena Birmingham, formerly known as Barclaycard Arena is a bustling entertainment hub. Showcasing the latest events in live sports, music and stage shows, it is an accordingly important part of Birmingham’s cultural scene. In 2013, the arena underwent a £26m redevelopment, enhancing its presence within its unique location alongside the busy Brindleyplace canal. The architectural design work by Broadway Malyan outwardly reflected the vast variety of activities held within the treasured venue. Within the refurbishment of the exterior and interior areas, LAPD designed a lighting scheme that was functional, dynamic and dramatic. 3 ‘Sky needles’ adorn the arena. Measuring 16m+ atop the venue, they ensure its visibility in the Birmingham skyline. The new glazed facade shows an openness with clear views into the front of house peripheral areas. Within the lantern-like structure, we designed the interior lighting to have high visual interest and impact that reinforced the architecture and aided enticement. 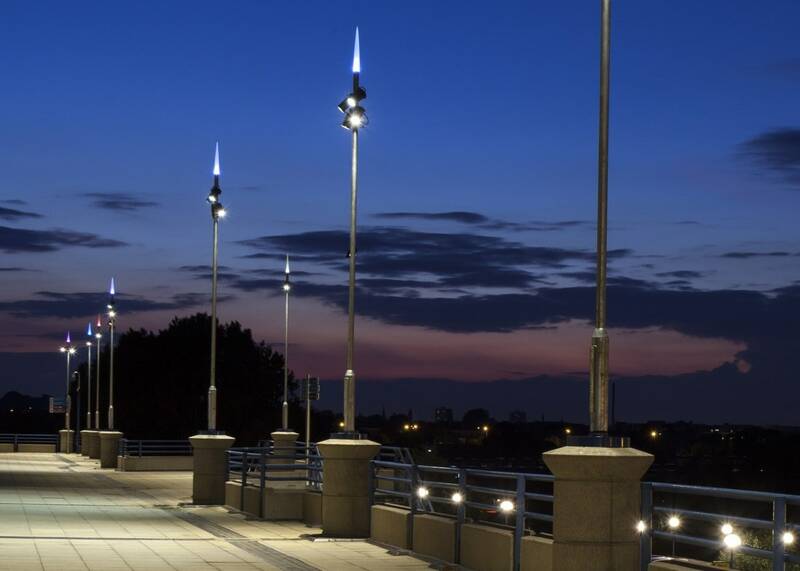 Bespoke 5m column lights surround the stadium and illuminate exterior pathways. On top of each column is a custom colour-changing LED finial, intended as a pastiche of the ‘Sky needles’. As a result, these bring a human scale to the ground level. Clusters of adjustable LED flood lights, mounted to the columns, provide the amenity lighting. 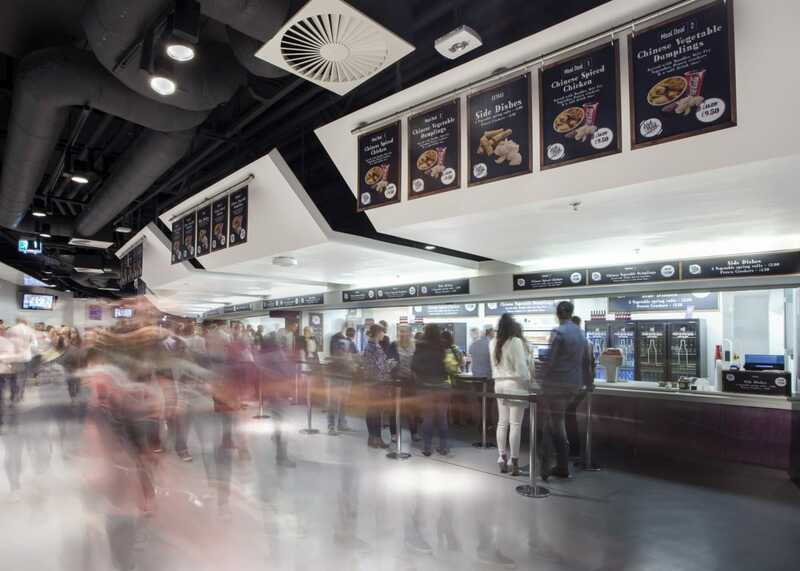 Within the underside of the arena, surface-mounted downlights dapple the paving in front of external food vendors beneath the covered walkways. 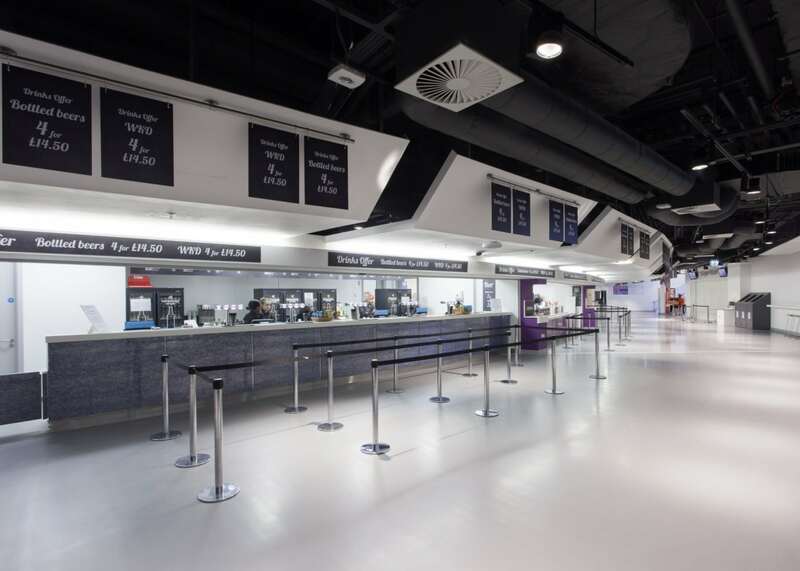 In general for the internal concourse areas, we designed a sparse array of surface mounted downlighters. They create an undulating, dramatic lit environment in contrast with the bright illumination of the food and beverage stalls. 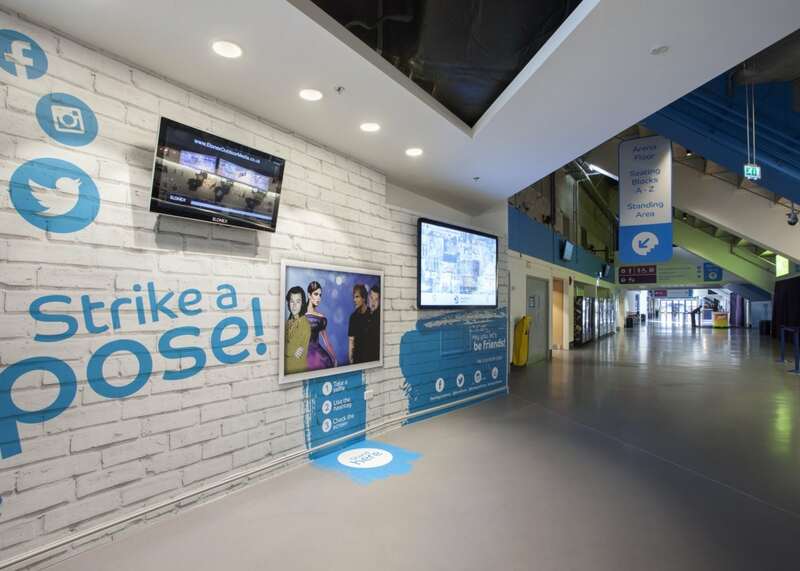 A track and spot system gives flexibility in depicting key elements, such as signage, graphics or pop-ups within these areas. 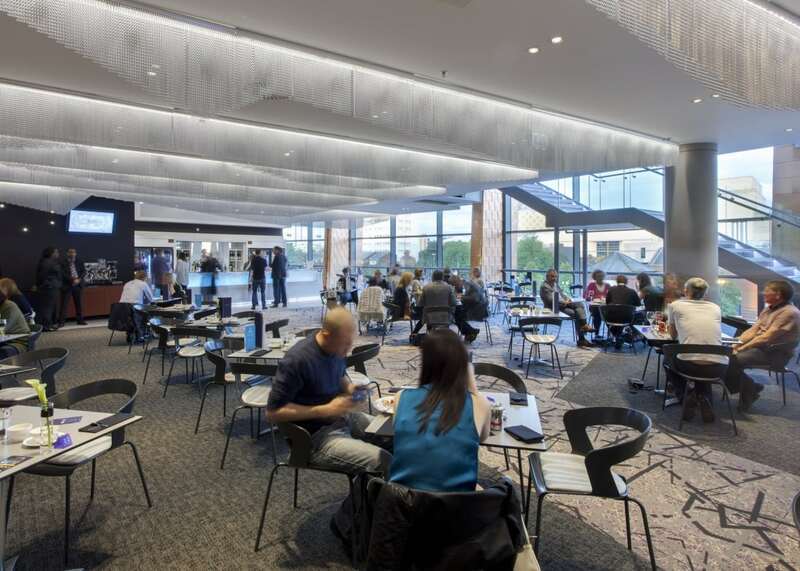 On the mezzanine levels, the linear formation of lighting systems radiates from the centre of the venue, therefore creating an attractive focus which can be seen from the outside. A double skinned chain veil cascades through the first mezzanine restaurant. Linear LEDs illuminate the veils from within, creating a glinting texture to the structure while providing the ambient light. Additional miniature adjustable downlights supplement the area, providing accent lighting to the seating below. 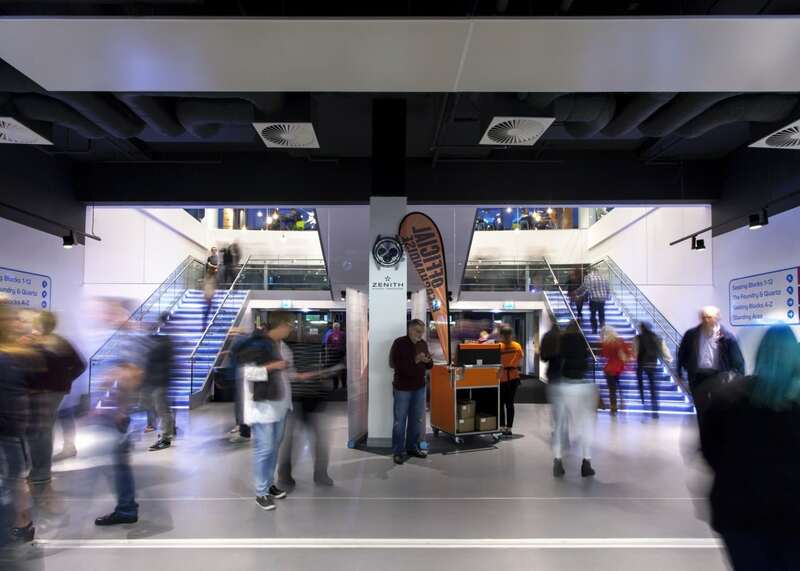 A similar approach was adopted within the second mezzanine floor, where contrasting black track and spot radiated from the venue centre point providing the accent and ambient lighting. The layers of lighting used throughout create a dynamic experience for each visitor, from the moment they approach the exterior to the various interior destinations. The overall effect truly makes this a focal point in the centre of Birmingham.